A lot of focus in the warehousing industry is paid to the idea of logistics—the moving of products into and out of your facility into the hands of retailers, consumers, and the like. But what if those products had to move back into your warehouse even after the sale? In these times of online sales, increased demand for customer satisfaction, and a focus on faster delivery, reverse logistics have begun to play a much bigger role in warehousing and retail management. As you can guess by the name, reverse logistics refers to the process of collecting and handling returned items that were previously sold to a customer. Wrong size, wrong fit, didn’t like the color, broken out of the package—we’re all familiar with the reasons one might have for returning items, but handling these returns can make a huge difference when it comes to repeat customers and overall satisfaction. Studies show that between 8% and 9% of all goods purchased in a year get returned, with the most peaks happening after the holidays for obvious reasons, and this puts greater strain on retailers and product distributors to make sure they can handle these returns swiftly upon arrival. Developing a reverse logistics plan isn’t going to be much different from the original logistics plan you developed when your warehouse began taking in product—you need staff that can handle the returns, you need a loading bay to process these items, you need the right kind of industrial storage to hang onto them, and so on. Reduced costs: A good reverse logistics system can help your warehouse (or any associated retail/distribution arms) reduce the risk of returns by better incorporating the cost of handling returns as well as the cost of the initial item and related sale. Better inventory management: By keeping a close eye on the products flowing back into your warehouse, as well as the associated costs, you can keep a constant eye on your changing inventory levels and prevent products from getting too low or too high either way. Customer satisfaction: Lastly, one of the bigger benefits of proper reverse logistics management is the idea of customer satisfaction and repeat business. If you sell direct to customers, they’ll always remember the time you helped them out with a return or exchange and are more likely to come back to make purchases. In a similar vein, if you work with a retail outlet to distribute products to their physical locations, having an easy return handling policy will make things much smoother across the entire supply chain and keep your various retail partners happy. Make sure to prepare a good reverse logistics strategy and work with any of your 3PL providers, and your warehouse may see a lot of things get much easier. 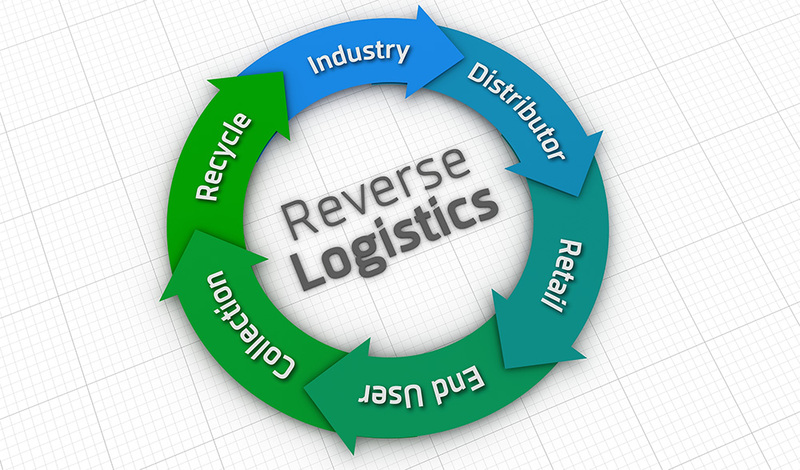 The value-added processes that are performed on customer returns, as well as the whole returns process, have been described by the term “Reverse Logistics”. The main thing is that it depends upon the customers satisfaction that what is required by them to be satisfied.